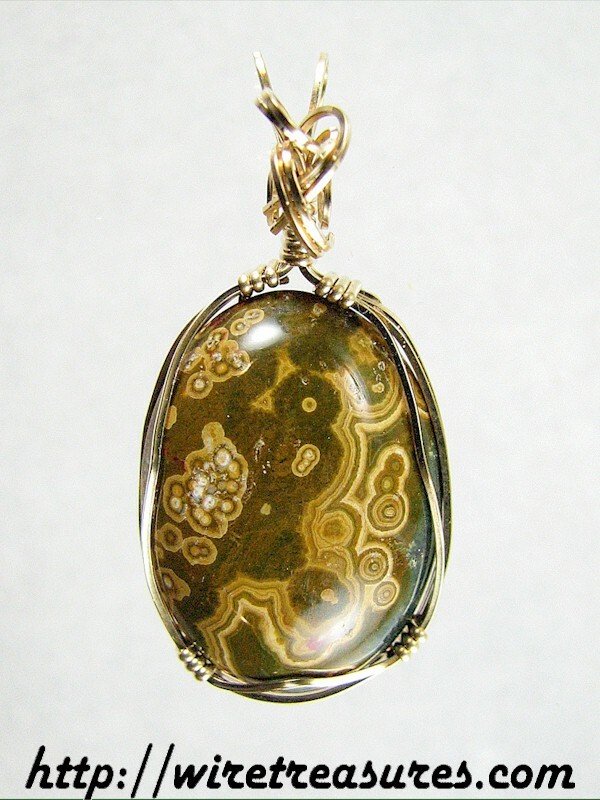 Yellow and green orbs everywhere you look are the highlights in this little Ocean Jasper pendant! It's wrapped in color-coordinated 14 Karat Gold Filled wire for your wearing pleasure. You are visitor number 1,584 to this page.